I love the Fall season, it cools us off, brings rain, and makes you want to stay inside and cuddle in front of the fireplace! 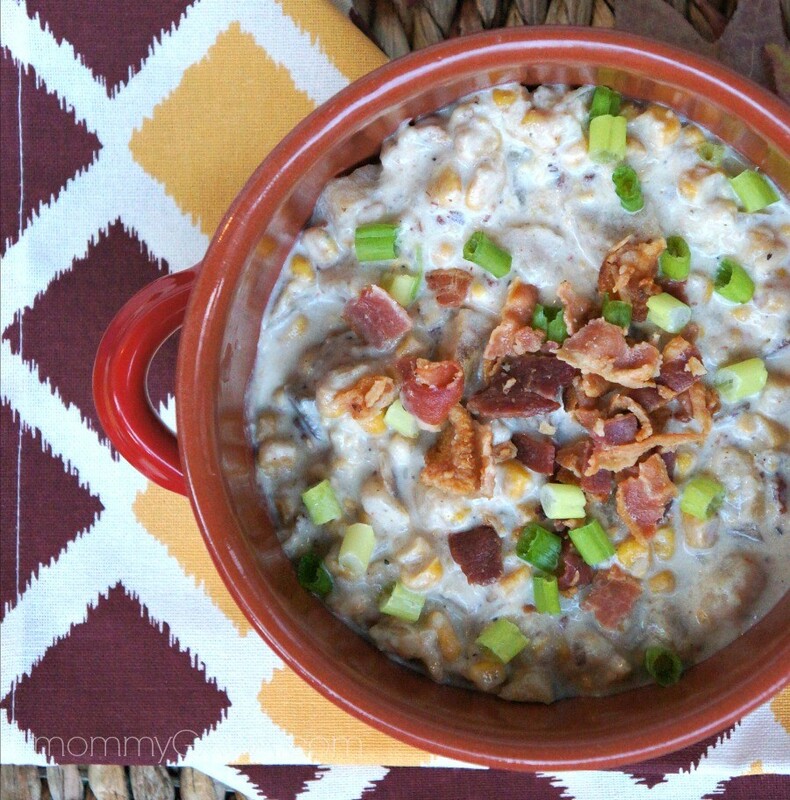 This bacon and corn chowder slow cooker recipe is full of flavor, sure to warm up your soul. 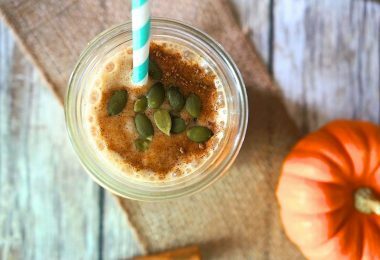 Another wonderful thing about Fall is the craving for comfort foods. There’s nothing like a warm, home cooked meal or a good, simple crock pot recipe! Soups are a favorite around here, so I decided I would make something hearty, delicious, and painless. After a little research and a trip to the grocery store, sprucing up an old favorite was the choice – and this bacon and corn chowder soup was born. I have been working with Cans Get You Cooking as a Canbassador to share canned food recipes and ideas to make easy, nutritious meals. Cooking with canned foods saves time and money, and provides some of the essential nutrients your family needs. Also, my slow cooker is one of my best friends in the kitchen, the convenience of ‘set it and forget it’ works wonders for my busy life! Want to learn how to make corn chowder? This simple corn chowder soup recipe cooks overnight. Using corn, potatoes and chicken broth are key. The game changer: BACON. And obviously, you NEED A SLOW COOKER for everything! 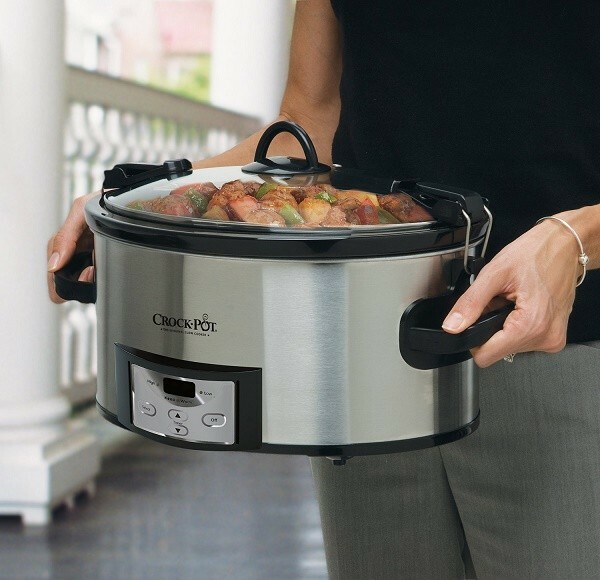 This is one of my favorite slow cookers, the Crock Pot brand is widely known and it works wonders for busy lives! This easy slow cooker soup recipe can be thrown together in about 15 minutes the night before you serve it. Trust me. YOU NEED THIS IN YOUR LIFE. Take all ingredients, except for the heavy cream, butter and garnish, and throw in the slow cooker. The chicken broth should be enough to cover all of the other ingredients. If not, add a little more until everything is submerged. *NOTE: Be sure to set aside a few bacon crumbles if you want to use some as garnish. Set it, and FORGET IT! Cook on low for 8 hours. Go ahead, get some sleep! When it’s done, take half of the soup mixture and pulse in a blender. Put it back into the slow cooker, add the butter and heavy cream, and mix thoroughly. Cook on the low setting for 1 more hour. That’s it! Ladle into each bowl, then top with bacon crumbles and green onions. You can serve with biscuits or any kind of bread you like. This chowder was so warm, so filling, my whole family loved it. 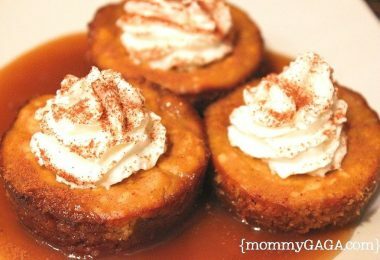 I just love simple crock pot recipes like these! Enjoy the warmth of Fall! 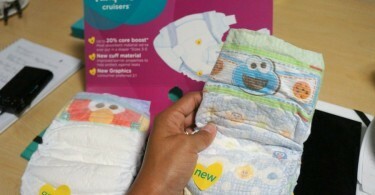 A Visit to Cincinnati With Pampers: What Makes Their Diapers The Best? 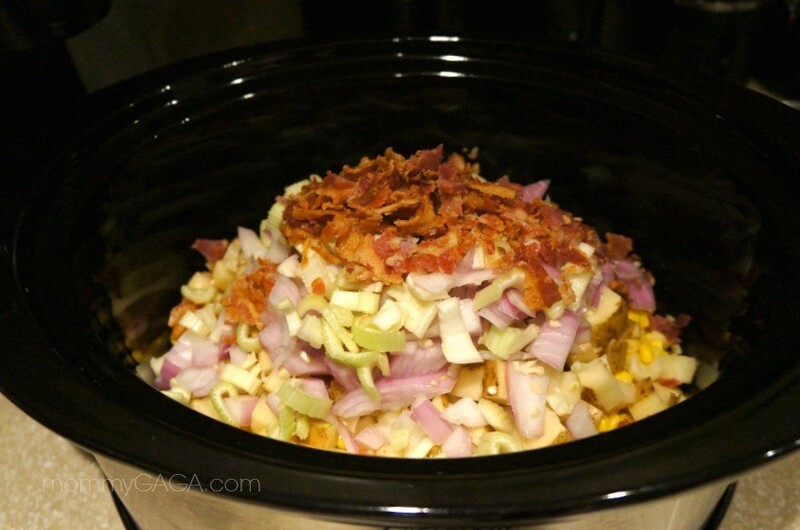 I’m always looking for a new slow cooker recipe and this one looks delicious! It’s perfect for the cooler weather we are having. The family will love this! I just started making soup and this seems like a really easy way to do it. And it does look delicious. I think I’m going to add a few more veggies and make this for my dad. He will love it. Thanks! Looked to good to pass up and I had some heavy cream in the fridge that needed to be liberated from its container. We’ll see what the family thinks tonight. BTW, I am adding some left over turkey at the end… just to use up some leftovers and to add a bit of protein. Thanks. This looks yummy. 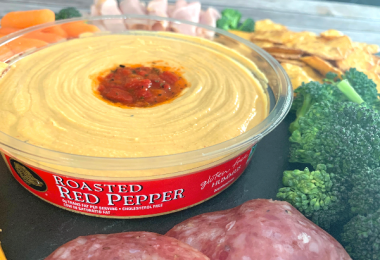 I have a recipe that I would love sharing on your blog using the cans get cooking campaign. Let me know if you are interested.